This is another one of my absolute favorite photographs. This was taken in Cobh (pronounced Cove), which is one of the prettiest places I’ve lived, on a morning after it had rained. The air was consequently clear and washed away of mist, which is as pervasive in Ireland as legend has it. One ceases to notice the soft air most of the time, but when rain has beaten it from the sky, the crispness *is* noticeable. So everything was unusually clear this particular morning, and I thought the vibrance of the blue sky against the orange of the (gorse, maybe? Not the yellow gorse that’s endemic (and oh I love it!) here, but this is a very similar orange flower) was just striking. 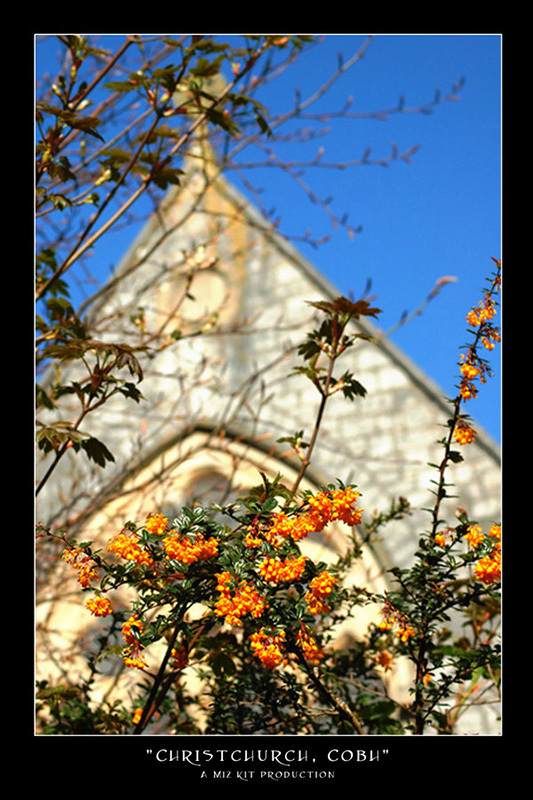 And for once I got the depth of field right all on my own, so the church is in soft focus behind the sharpness of the flowers…yeah. I’m still really happy with this picture.